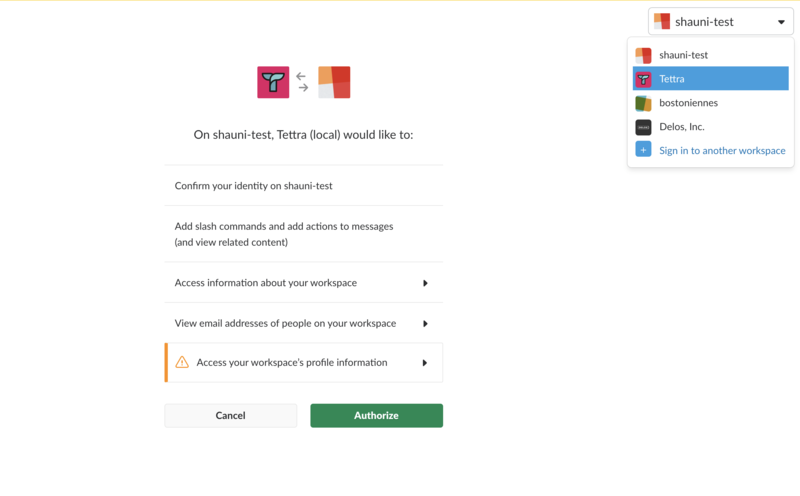 You'll then see a screen to grant Tettra permissions to your Slack workspace. 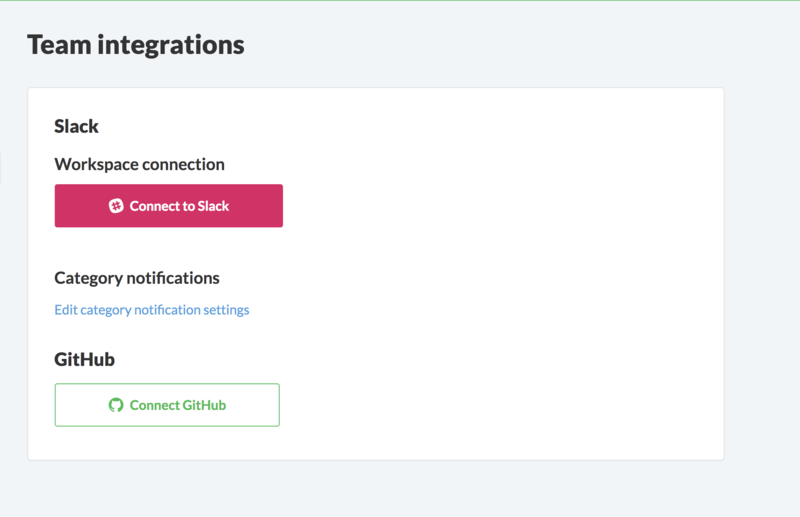 If you're part of multiple Slack teams, first choose the intended team from the top right dropdown menu. 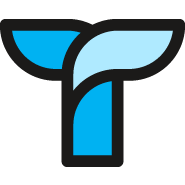 Click 'Authorize' and you've connected your Slack workspace!